The Sagimay Trail was constructed in 1981, and its name originates from the Cree word meaning mosquito, however, a walk along the Sagimay Trail provides an opportunity to observe many types of wildlife including birds, deer, and other small mammals. During the spring, the trail comes alive with the songs of migratory birds. At the southeast end of the trail, an observation mound overlooks the Eve Werier Memorial Pond – a perfect place to look for waterfowl and other wetland creatures. 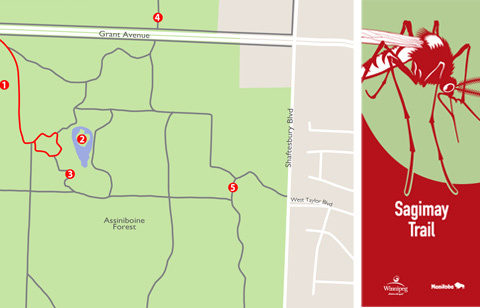 The Sagimay Trail also offers up linkages to 6 km of wood-chipped trails in Assiniboine Forest, which in turn provide access to the new crushed limestone Preston Trail, and the Harte Trail that runs along the south edge of the Forest.  Prairie meadow – This large meadow provides an example of prairie habitat, including tall grass prairie species such as Big Bluestem and Prairie Sage. Eve Werier Pond – This pond supplies water for wild life and waterfowl, and with this water source, deer can be saved from crossing busy streets to reach the Assiniboine River. Early mornings or at dusk you may come upon deer drinking at water’s edge or see a flock of ducks feeding on wetland plants. Charleswood Rotary Boardwalk – constructed by the Charleswood Rotary Club in 2002. 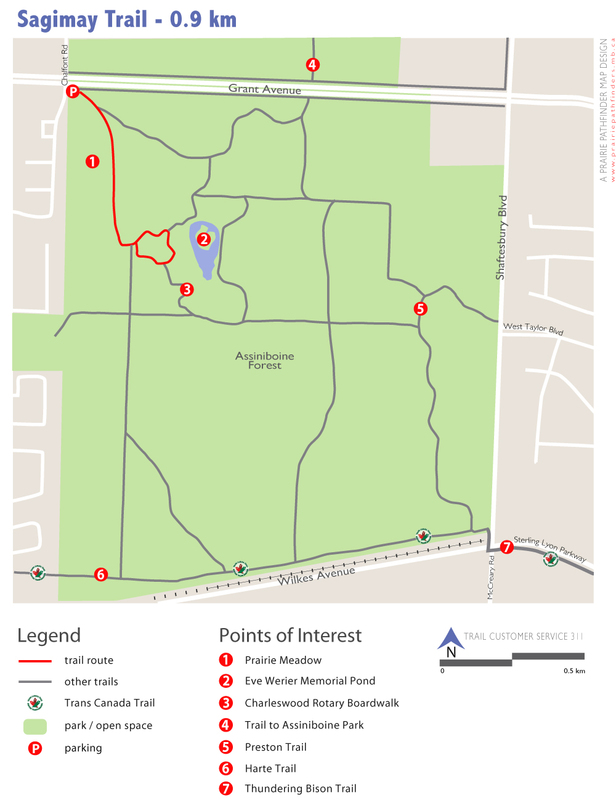 Preston Trail – Named after the Preston family that once resided where Assiniboine Forest is now, the trail has been designed to minimize ecological impacts, while providing an interesting and scenic route through this natural heritage area.